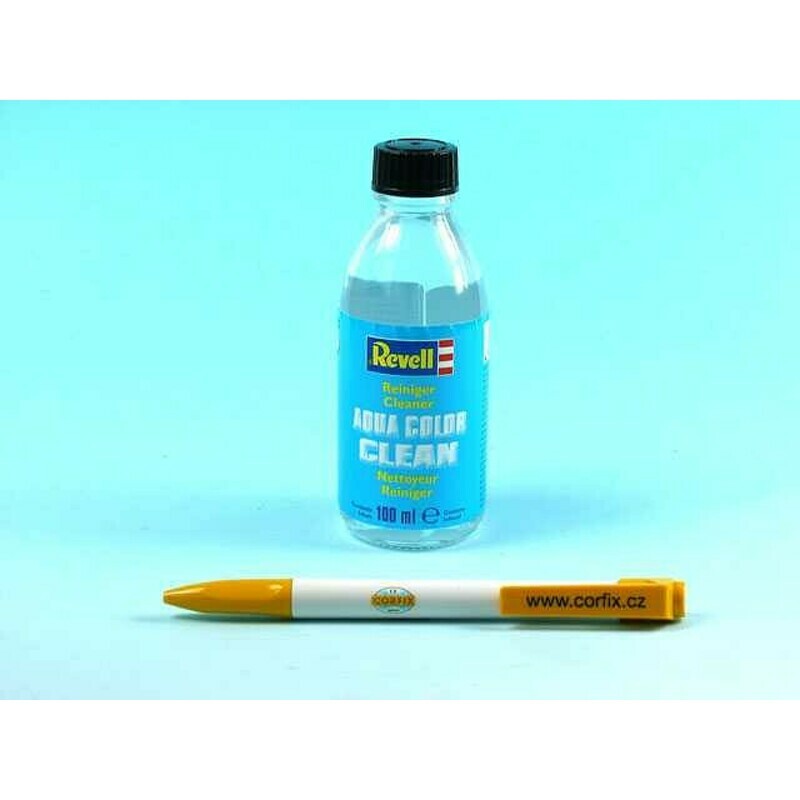 Brush cleaner and spray gun for Revell acrylic paints. DPD Private- Delivery to the Czech Republic 25.04. PPL - Delivery to the Czech Republic 24.04. DPD - Delivery to the Slovakia 26.04. GLS - Delivery to the Slovakia 25.04. PPL - Delivery to the Slovakia 25.04. DPD - Delivery to Germany 26.04. DPD - Delivery to Poland 26.04. DPD - Delivery across Europe 30.04. GLS - Delivery across Europe 01.05. PPL - Delivery across Europe 01.05. Special product for cleaning brushes, spray guns and other tools. Designed for modeling. Suitable for removing paint that has already dried out, fresh paint can best be poured with running water. Do not use on transparent plastic pieces! Directions for use: Rinse the dirty object several times in the preparation, use a cloth (cloth, etc.) if necessary. Warning! Contains: 1-methoxypropan-2-ol. Flammable liquid and vapors. May cause drowsiness or dizziness. If medical assistance is required, keep the packaging or product label at your fingertips. Keep out of the reach of children. Read the label information before use. Protect from heat / sparks / open flame / hot surfaces. - No smoking. Caution! This product is not a toy."